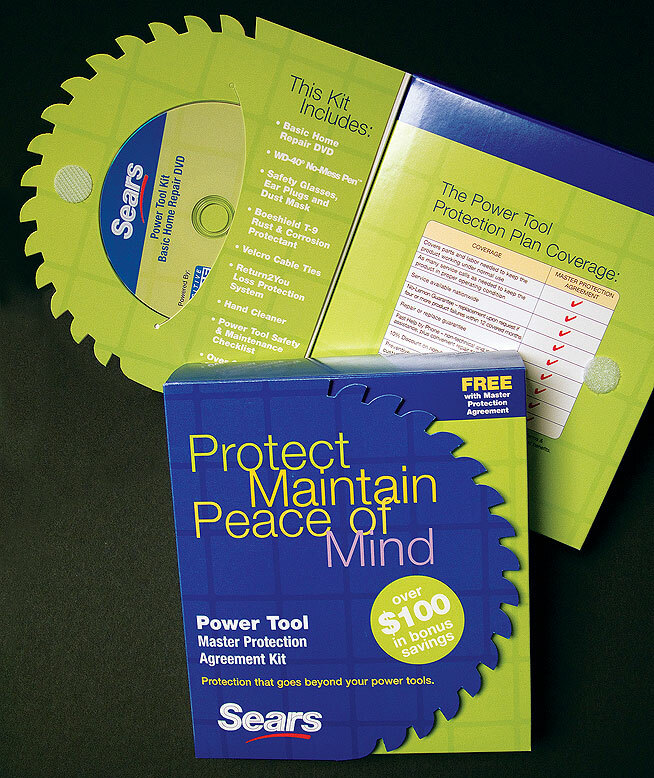 Sears wanted to attempt to boost their Protection Plan attachmentrates for power tools with a sales piece that would make their service a tangible product. This packaging solution creates interest without the help of a Sales Associate and makes an excellent tool for the Associate. The effective die-cut sparked curiousity while maintaining the company's existing brand standards.